THAT was the sound of me screeching in delight at the word that Sekaiichi Hatsukoi’s PV came out. Yes folks, finally we can see Ritsu and Takano-san walking, talking, screaming in denial! Just look below and delight in the 110 second trailer! I’ll be over there…bouncing around like a Tigger on crack. Cause its just two months left to April! 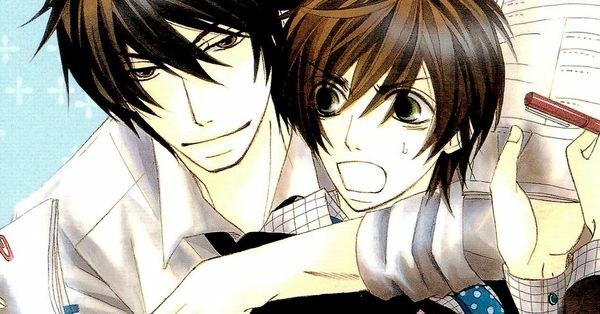 Sekaiichi Hatsukoi’s anime is expected to air in April 2011 with an OVA to be released in March of the same year. The story follows one Onodera Ritsu who just got assigned to the shoujo manga department of Marukawa Shouten to find out that he just came face to face with his first love…and he happens to be his boss…Who has declared that he will make Ritsu fall in love with him. Who vehemently declares that that would never ever come true.